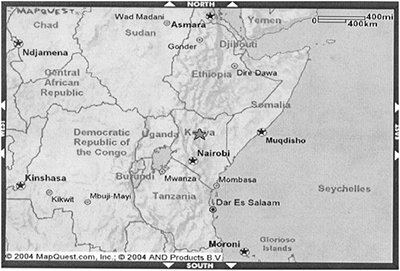 The Dadaab Refugee Camp in Kenya has been in existence since 1991, with many original refugees still in residence 26 years later. 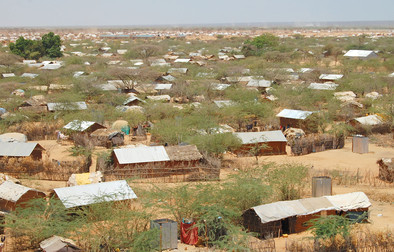 The camp in Dadaab hosts close to half a million refugees escaping violence in neighbouring Somalia and other African countries. 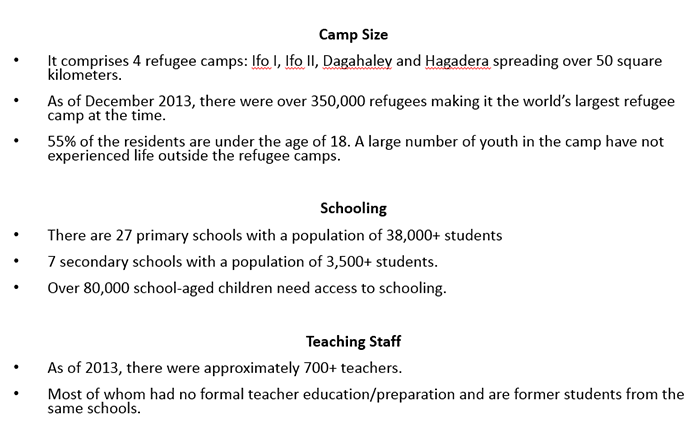 The UBC–Moi University Secondary Teacher Education Program in Dadaab, Kenya launched in August 2014 is a humanitarian effort to improve and support quality teaching in Dadaab Refugee Camp schools. The aim of the project is to raise teaching standards at the camp, enhance the lives of young students, and offer opportunities for students and their family’s future. UBC and Moi University in Kenya designed a 60-Credit Secondary Teacher Education Diploma Program that has been offered jointly and funded by Global Affairs Canada (formerly CIDA). 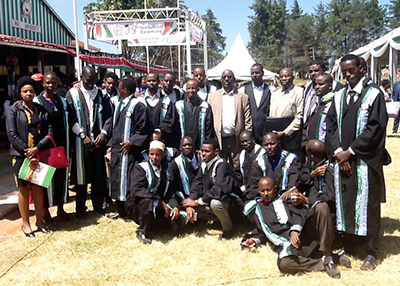 Students in the program receive a Diploma in Secondary Teacher Education from Moi University. Various well-wishers donated generously towards the support and we have been able to have 87 teachers graduate from the UBC–Moi University Secondary Teacher Education Diploma Program. Dr. Nashon attended the convocation ceremony at Moi University on December 21, 2017, where 51 teachers from the second cohort were conferred with Diploma in Teacher Education, Secondary.